Chun See, Gong Xi! Gong Xi! Congrats, Chun See. Looking forward to your book launch. I can't wait to read this book. Congratulations! It's a lot of hard work but I am sure you enjoyed the journey and I, and all your mates, would like to extend our heartfelt wishes for your success! Congratulations! Your book looks excellent and I'm sure it will sell well. I can't wait to read it. I'm glad that I could help out. Maybe Sohkiak can turn it into a tv series! Two places that were good for ordering my books were Select Books and the National libraries, if you want to give them a try. I'll put your book on my blog soon which might help sales (although my blog isn't as well read as yours). It's quite an achievement and I'm sure that a lot of people of a younger generation will discover a Singapore that they never knew existed. Will be purchase it when I'm there. Congrats Chun See! I've posted a plug on y.sg, should be coming up next week! Congrats, Chun See. Can't wait to read the book. MOE should consider using this book as one of the texts for social studies in our schools. Thank you everyone. Maybe I was a bit to 'kan cheong' (excited) in announcing this. Perhaps the shops might need a couple of days to ready the books for the shelves. Sorry for any inconvenience caused. Congrats Chun See for his new book. I enjoy reading the articles in the blog written by Chun See and his team of guest bloggers. In fact I "grow up" reading GMY after it kindled my interest in heritage. Your long-awaited book helps to enhance Singapore memory and heritage for present and new nostalgia fans of "Good Morning Yesterday" blog as a memorable gift for posterity. Look forward to getting a copy. Hoh Sai Lae ! Kong Hae Kong Hae ! Congratulations Chun See and as a freenlance consultant I can certainly appreciate how glad you were that the paid work quietly departed for long enough for you to write it! I am greatly looking forward to reading it particularly as I found your blog some time after you started it and there is so much that I missed first time around. Congrats, Mr Lam. Many of us are proud of your achievements.Wishing you more good years ! Thanks for the information Chun See. I wonder in the Kinokuniya at Bugis has your book. Will try to get from them or Popular - hope they will sell your books there too. Hi Timothy. Popular has not come on board yet. Times seems to have the most outlet with my book at the moment. Suggest you call first before you go. Congratulations, Chun See. Will see if I can order it from Amazon.com. I am glad your blog is now out in book form. Congratulations! 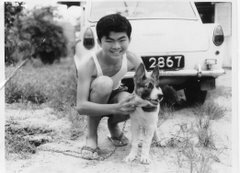 Hi everyone I am Yu Lin an undergraduate student doing a project on the hidden heritages of Singapore. I chanced upon this blog while researching on possible places to base my project on. I would like to ask if anyone would know of this particular street called 打铁街 or "pa ti kwei" in the hokkien dialect as my grandmother calls it. It is now currently I believe Sultan Gate and Baghdad Street intersection. All I know is that there used to be many iron mongers there but there is I believe only 1 left there now? I am trying to find out more information about this street(its trade, culture, significance to Singapore). It would be great if you have any stories to share with me on this. 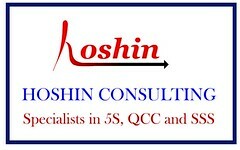 I can also be contacted at tan_yu_lin17@yahoo.com.sg. Have not been in here for a while, a blessed year ahed & a prosperous one too. How much does the book cost & if I can't find it at Kino. or Times, where else can I buy the book. My distributor has not given me any new places where the book is available. He said Popular would be one of them. But due to the Chinese New break, they may need some time to come in. One reader told me it is retailing at about $18.50 after gst. My book arrived this morning. Many thanks. Do you know where I can purchase a copy of your book.? I called both Kinokuniya outlets as well as Select Books and they don't have any stocks of your work. Very sorry. As I said, these bookshops have never heard of my name and so they were very cautious and ordered only small initial quantities. I believe they will quickly replenish their stocks; and Popular and others will come on stream soon. Congrats Chun See for your new book launch. Did you give a copy to all your previous schools? Including JC? Yes. Both NJC and ACSI have my book. My primary school, BRS is no longer around. Sorry my book no longer found in the bookshops. But I believe you can still get at Select Books. That's great to hear. Thanks. Will check out the library. Right now my students are working on a graded project trying to find out how much Singapore have transformed in the first decade of independence. They are eager to ask you questions. We are looking at different groups of Singaporeans and how their ways of life are affected by independence. The idea is based on a quote taken from LKY's speech in 1975. I am going outstation soon and will not be checking this blog. Ask them to email me at: lamchunsee@gmail.com and I may be able to access. 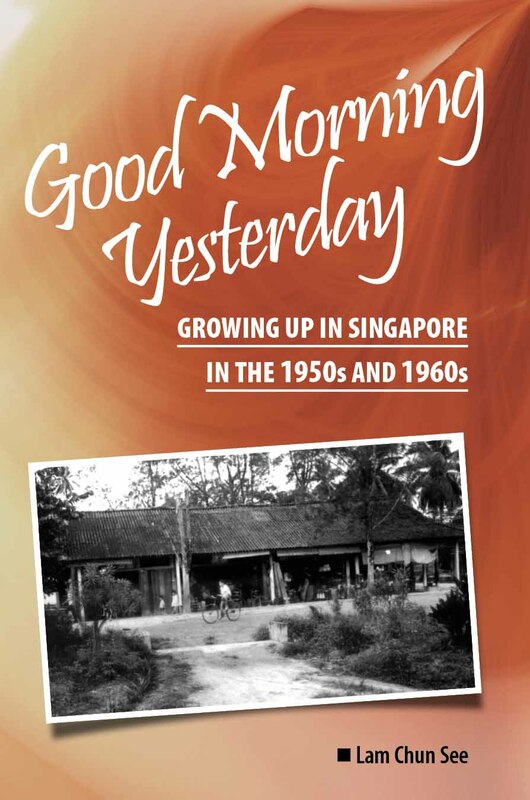 Its good to see the stories of early Singapore where I was born come from ordinary people, particularly during the time that I grew up and lived there from 1955 to 1972 get preserved for posterity. I have fond memories of my former homeland growing up as a child there until I left for the United Kingdom. The monsoon seasons were memorable as were the lightning storms and the girl I left behind. Many congrats.